The Terrafloor is a living floor system designed for interior use. First there were green roofs, and then green walls. Why not green floors? Sophisticated grass and moss ground cover systems are widely available, and increased interest in interior greenery is encouraging the development of indoor applications of these systems. 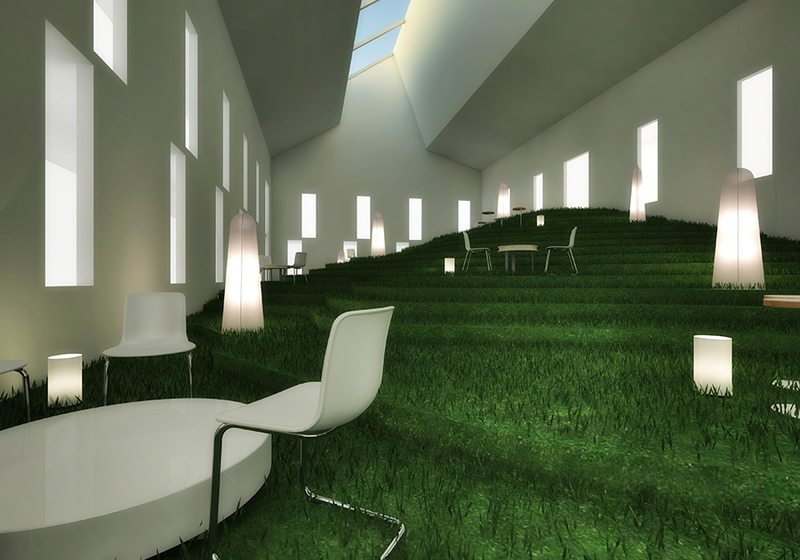 Inspired by terraced farming and sloped hillsides, the Terrafloor enables the construction of interior ground plantings that negotiate sectional changes within buildings—thus providing landscaped stairs, seating, or lounge areas. Integral water delivery and concealed reinforcing pavers ensure a long life for plantings, which have been cultivated to tolerate shade and resist frequent traffic. 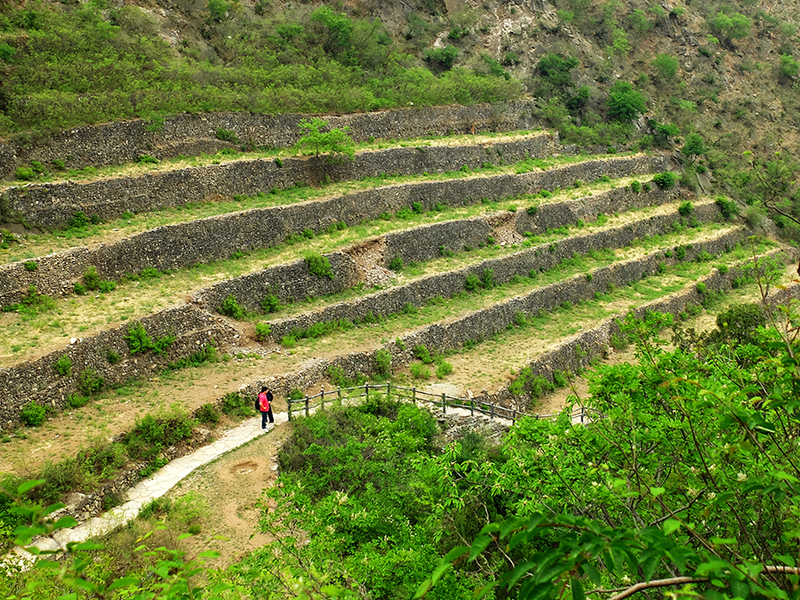 The Terrafloor is inspired by terraced landscapes such as this reinforced hillside in Chuandixia, China. The Terrafloor system, shown installed in a public reading room.